Antibodies are widely used as specific, sensitive affinity reagents for protein detection. Because antibody production is largely based on an in vivo immune response to an administered target, the development of antibodies to non-immunogenic small molecules is a huge challenge. Unlike antibodies, DNA- and RNA-based aptamers are chemically synthesized affinity reagents that can be selected for binding to non-immunogenic and toxic compounds (13). Aptamers can even be selected to differentiate between very similar small molecules. Though small molecules do not possess the availability of complementary binding sites required for sandwich assays, aptamer-based biosensors and competitive assays are exciting new tools under development for small molecule detection and monitoring (12). Using proprietary methods for selection, screening, and affinity testing, Base Pair has successfully developed aptamers to a wide range of small molecules, including amino acids, neurotransmitters, metabolites, and small molecule drugs. Base Pair can quickly design a custom aptamer selection strategy for your small molecule of interest. Amino acids are the building blocks of proteins and enzymes and play a critical role in many protein-and enzyme-related metabolic disorders. Inherited metabolic disorders involving impaired protein or enzyme production have been called inborn errors of metabolism (IEMs). Of more than 500 identified IEMs, about 91 are treatable with early diagnosis. Thirteen of the ninety-one treatable IEMs involve impaired amino acid production. Amino-acid related IEMs, known as aminoacidopathies, are detected by chromatography and mass spectrometry. They affect approximately 2-3% of the global population, but are more prevalent in underdeveloped countries lacking access to the advanced analytical techniques required for detection (16). Citrullinemia is one of the thirteen treatable aminoacidopathies and is associated with neuropsychiatric symptoms and elevated levels of both the amino acid citrulline and ammonia. (M) Circulating citrulline is also a biomarker for renal and intestinal failure. Because citrulline is metabolized in the kidneys, elevated levels of citrulline can be an indication of renal failure. Conversely, citrulline is produced in the small intestine. Low level of plasma citrulline is an indication of poor intestinal absorption and intestinal failure (9). Researchers at Texas A&M University are developing a biosensor using surface-enhanced Raman spectroscopy and citrulline aptamers discovered by Base Pair. Preliminary tests showed a sensitivity of 24.5 pmol and a 50-fold enhanced affinity for citrulline versus other amino acids (15). Aptamer-based biosensors show great promise as accessible point-of-care tests for amino acid detection and monitoring. Neurotransmitters are small molecules used to excite or inhibit nerve function, regulating a wide range of biological functions. A disruption in the synthesis, function, or breakdown of a neurotransmitter can be linked to several disorders (11). Though not curable, proper diagnosis of neurotransmitter disease often enables treatment to reduce symptoms (9). 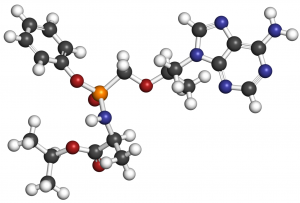 Diagnosis of dopamine- and serotonin-related diseases and treatment monitoring often involves the measurement of neurotransmitters and their metabolites in cerebrospinal fluid (CSF) or serum using time-consuming analysis techniques (10). To overcome the challenge of small molecule detection, researchers at Wright-Patterson Air Force Base used a DNA aptamer from Base Pair Biotechnologies to develop a colorimetric assay for the detection of serotonin, a regulatory neurotransmitter linked to sleep, appetite, and behavior. Based on the use of aptamer-functionalized gold nanoparticles, the test showed linear measurement in a clinically-relevant range of 132 – 440 ng/mL (2). This is a promising new method for simple, rapid measurement of small molecules in whole blood that could enable point-of-care testing of several circulating neurotransmitters. Base Pair has developed custom aptamers to Epinephrine, Norepinephrine, and Serotonin. Compounds that are ingested, inhaled, or absorbed by the body are often processed very quickly and converted to metabolites. These metabolites must be identified and measured to assess exposure to the original compound. Base Pair has developed aptamers to metabolites of VX and Sarin nerve agents for use in rapid detection of exposure and identification of infecting agents. Aptamers to metabolites of several opioids have been developed for neonatal screening for identification of in utero exposure to drugs of abuse and rapid treatment for symptoms of withdrawal. In some cases, unique metabolites can indicate a specific bacterial infection, enabling prompt treatment and avoiding unnecessary administration of antibiotics (5). As researchers explore the link between diet, our microbiome, related metabolites, and disease, simple methods for detection and monitoring of small molecule metabolites will become increasingly important (8). Contact Base Pair for more information about aptamers available for detection of metabolites of nerve agents, opioid metabolites, and selection of aptamers to other metabolites. The determination of recommended drug doses is an inexact science. The circulating concentration of therapeutic drugs can be affected by physical differences between patients, environmental or dietary factors, differences in drug delivery, and potential drug-drug interactions. Fast, sensitive, and selective methods for monitoring circulating drug levels can enable clinicians to adjust drug dosage over the course of treatment to maintain optimal therapeutic levels, enhancing drug performance and reducing side effects. Researchers in Europe have developed a field-effect biosensor for detection of tenofovir, an anti-retroviral small molecule drug approved for the treatment of HIV and Hepatitis B, using aptamers supplied by Base Pair Biotechnologies. The field-effect sensor was selective for tenofovir in both buffer and plasma. The sensor showed a linear detection range of 1nM to 100nM, compared with a clinical range of 20nM to 860nM, indicating sufficient sensitivity for clinical application. With simple aptamer substitution, point-of-care sensors can be developed for a wide range of small molecule drugs (1). Drug overdose is currently the leading cause of death in the U.S. for those under the age of fifty. Deaths from drug overdose spiked to over 66,000 in 2016 (up 16% from 2015) and preliminary data for 2017 suggests the problem is continuing to worsen (6). In response to the growing use and abuse of a wider range of opioids, Base Pair has successfully developed a number of aptamers that selectively bind to opioids and opioid metabolites. Noroxycodone and norhydrocodone are unique metabolites of oxycodone and hydrocodone. Because these metabolites are not administered directly to drug users, their presence in the urine has a direct correlation to use of hydrocodone or oxycodone (3,4,14). Metabolite detection in the urine of neonates indicates maternal use of hydrocodone or oxycodone during pregnancy and can enable pre-emptive treatment for withdrawal. As part of an aptamer selection project for the National Institutes of Health, Base Pair has discovered aptamers with high selectivity and affinity for noroxycodone and norhydrocodone. Read about recent grants for the development of aptamer-based opioid tests at Base Pair. Contact Base Pair for more information about custom aptamers we have developed for small molecule drugs of abuse. Researchers and consumers are becoming increasingly concerned about chemical contaminants in food and in the environment. From chemicals leaching from plastic containers to residues of antibiotics and pesticides used in food production to the intentional release of chemical toxins, the potential hazards of exposure, especially for developing infants and children, are gradually coming to light. Current tests for chemical contaminants include chromatography, mass spectrometry, and ELISAs (enzyme-linked immunosorbent assays), but these tests are expensive and time-consuming. The development of fast, accurate, economical field-based tests is more important than ever. In vitro selection enables discovery of aptamers that perform in a broad range of sample matrices, accommodating environmental, industrial, and food/beverage testing. Stability of aptamers in a wide range of temperatures makes them ideal candidates for simple, rapid field-based tests utilizing re-usable sensors, lateral flow assays, and solution-based assays (17). Base Pair can quickly design a custom aptamer selection strategy for your small molecule of interest. Contact Base Pair today for more information. Goluch, E.D., et al. Microbial Identification Using Electrochemical Detection of Metabolites. Trends in Biotechnology. 2017. 35(12):1125-1128. Katz, Josh. The first count of fentanyl deaths in 2016: Up 540% in three years. The New York Times. https://www.nytimes.com/interactive/2017/09/02/upshot/fentanyl-drug-overdose-deaths.html. Accessed January 27, 2018. Moinard, Christophe and Luc Cynobar. Citrulline: A new player in the control of nitrogen homeostasis. J. Nutr. 2007. 137:1621S-1625S. Pediatric Neurotransmiter Disease Association. Testing for dopamine and serotonin-related diseases. http://pndassoc.org/testing/dopamine.html. Accessed October 20, 2017. Pfeiffer, F. et al. Selection and biosensor application of aptamers for small molecules. Frontiers in Chemistry. 2016. 4:25. Walton, B.M., et al. Surface-enhanced Raman spectroscopy competitive binding biosensor development utilizing surface modification of silver nanocubes and a citrulline aptamer. Journal of Biomedical Optics. 2017. 22(7). doi: 10.1117/1.JBO.22.7.075002. Lan, L. et al. Recent progress in nanomaterial-based optical aptamer assay for the detection of food chemical contaminants. Applied Materials & Interfaces. 2017. 9(28):23287-23301.